By Bendix Anderson (National Real Estate Investor On-line article) Interest rates are finally rising, but that doesn’t mean cap rates on apartment properties have to rise too. “This interest rate increase could be a non-event on cap rates,” says James Costello, senior vice president for New York City-based research firm Real Capital Analytics (RCA). It’s easy to assume that higher interest rates will naturally lead buyers of apartment properties to demand higher yields on their investments. But investor yields and interest rate often move in different directions. It’s too soon to measure any change in cap rates from deals closing now—those deals were negotiated before both the election and the recent rate hike by the Federal Reserve. 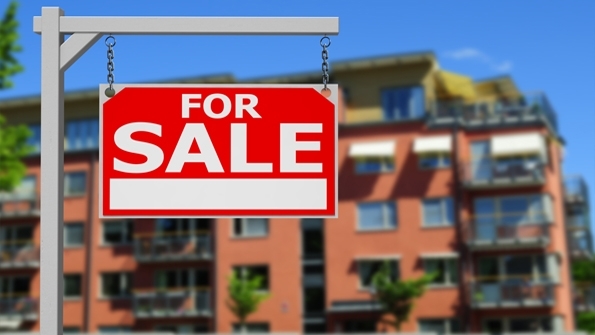 However an analysis of multifamily deals now in progress by brokerage firm CBRE showed no change in the number of buyers asking to renegotiate prices in late November and early December. “The typical amount of buyers came to us for price reductions,” says Chris Akins, senior director for multifamily with CBRE capital markets. The Federal Reserve finally raised its benchmark interest rate by another 25 basis points at its December meeting, a move officials had delayed for about a year. Long-term interest rates, like the yield on 10-year U.S. Treasury bonds, had already risen by about 100 basis points in November, as the financial markets responded to the victory of President-elect Donald Trump, and his promises of tax cuts and a $1 trillion infrastructure program. “The long-awaited interest rate hike is finally being realized,” says John Affleck, a research strategist for CoStar. It seems natural to assume that higher interest rates will force buyers to demand higher yields, since most use acquisition loans to help pay for their new properties. “Basic financing theory implies that higher interest rates lead to higher cap rates—especially since so much of the appeal of commercial real estate in this cycle has been the high rate of return compared to the low interest rates,” says Affleck. In reality, interest rates often drop at the same time as cap rates rise. For example, in 2009 lenders offered historically low interest rates (when they offered to lend at all). But cap rates rose as property prices fell. Cap rates were also high while interest rates sank in the early 1990s. “Anyone looking at a chart of interest rates and cap rates would never draw the conclusion that interest rates and cap rates are linked,” says Affleck. Long-term interest rates have not even risen that sharply in the last few months. “If Treasury bond yields stabilize in this 2.4 percent to 2.5 percent range that they’ve been in since Thanksgiving, you are back to the 2015 levels,” says Costello. Without rising at all, cap rates are now reasonably positioned relative to that yield. Mid-rise and high-rise apartment properties now trade at an average cap rate of 4.6 percent. That’s 210 basis points higher than the yield on Treasuries and about the same as the spread in 2015 between cap rates and Treasury yields, according to RCA. “Those spreads in 2015 were set in a time when risk aversion was higher and growth expectations were lower. Both of those features should help narrow spreads today,” says Costello. At the same time, the higher interest rates could strengthen the demand for apartment properties, which would help support high prices. Higher interest rates could help keep renters from moving out to buy their own homes. Even if banks eventually begin to offer more home mortgages, higher interest rates will make those loans less affordable, especially for the younger people that have been overwhelmingly likely to rent their housing since the financial crisis.